Ready to make waves without sinking your budget? 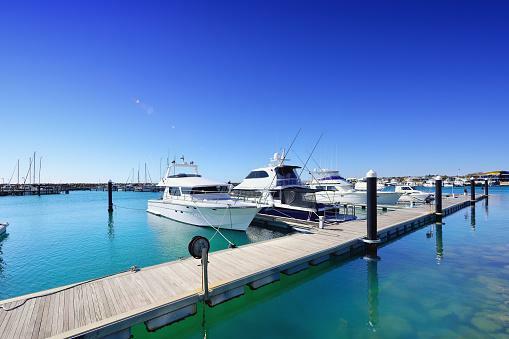 Here’s eight simple steps to save up for the boat of your dreams. Before you get started, decide what kind of boat you’ll be looking to purchase. Spend time researching your options and calculating how much buying and owning a boat will cost. Include upfront costs, monthly payments, storage, insurance, fuel and boating lessons. Now, create a realistic savings goal that will make your boat purchase possible. Establish a timeline for your goal and divide the total by the number of months that will pass until you are ready to buy that boat. This number is the amount you will need to save each month. If it is too high, you’ll need to lengthen your timeline. Take a look at how much money you spend and earn each month. If you already have a budget in place, this step is already done. Otherwise, track your expenditures and income for a month or two until you have this information. Take a closer look at how you’ve been spending money on fluctuating expenses. What are the biggest pitfalls? Which spending category is draining your wallet dry? Once you’ve figured that out, you’ll be better prepared to cut back. Start with the biggest money hole and brainstorm for ways you can tighten the strings. Once you’ve got a few good ideas in place, move on to other areas. Continue until you’ve trimmed enough fat to reach your monthly savings goal. You’ve got your numbers worked out – now let’s make it happen! The best way to ensure you stick to your plan is to make it automatic. You can do this by linking your checking and savings account and setting up an automatic transfer in your chosen amount to go through once a month. Give us a call at 866-423-2848; we’ll be more than happy to help you set this up. If you want to speed things up, look for ways to earn extra money to put toward your boat. A side hustle, like freelancing or working a weekend job, will help you hit the waves a whole lot sooner! Once your goal is within reach, start shopping for the boat of your dreams. Don’t lock yourself in to your original number. If you find a boat that’s a lot cheaper than you anticipated, grab it! Use the extra cash to stock up on fuel and boating gear, or put it aside to jumpstart your next big savings goal.